Fire fighters from Brian Head and Parowan are currently on site doing their best to contain the fire. However, high winds pose a threat. A helicopter is currently dropping water and everyone hopes the fire does not grow. It is unknown at this time how the fire started. The fire is located South East of Steam Engine Subdivision. I was pulling up to my office when I saw the police truck race up Bear Flat road with sirens blaring. I quickly followed to see what all the excitement was about. As I drop up the mountain I could see the fire truck in my rear view mirror. By the time I arrived there were only three other trucks just arriving. We all grabbed shovels and began to put out what had already grown to approximately one acre. The winds are blowing North East, so it doesn’t appear that this fire will pose a threat to cabins in the surrounding areas. Dry wood and heat is not a good combination. The helicopter attempts to dominate the flames. Smoke quickly filled the air during the initial attempts to tame the flame. The Brian Head Resort’s Mountain Bike Park and Activity Center will open for the summer season on Saturday June 27, 2009. 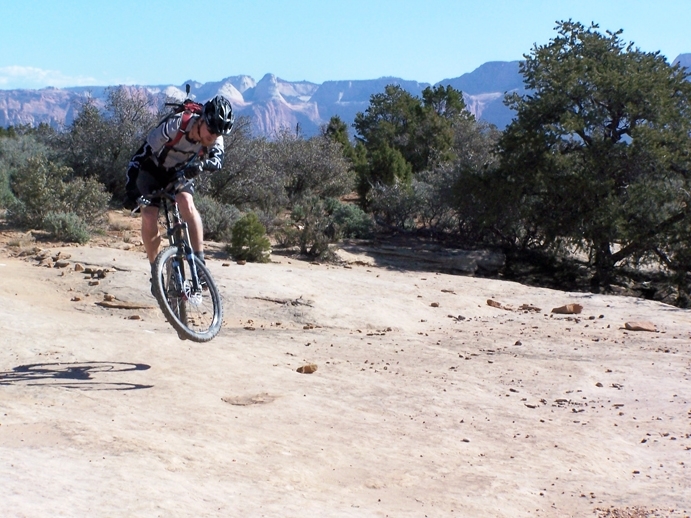 Activities offered, include shuttle or chairlift access to 200 + miles of single track mountain bike trails. The Mountain Bike Park has a fleet of full suspension, downhill rental bikes. Also available through the Activity Center is Scenic Skylift rides to a cool 11,000 ft above sea level and our mid-mountain disc golf course. 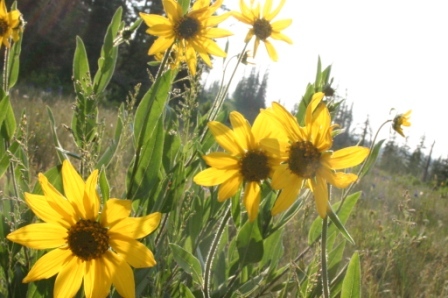 Other activities available during the summer season include, hiking, dining, spa treatments, and special events including the Brian Head 4th of July weekend and Fireworks Show. We are also going to have our all new “Vendor Row” in Giant Steps parking lot, all summer long. Come eat great food, shop for gifts, enjoy artwork or even take a guided tour in an All Terrain Vehicle. For complete information on Brian Head’s 2009 summer season, please visit the Resort’s website at http://www.brianhead.com; or call 435-677-2035. Come enjoy Brian Head Resort ! Hike to Slot Canyon on the 30th – Don’ t Miss it! Kevin Talbot sent me this letter requesting a donation. I am posting it here in hope that others will also send a few dollars to help out. Latest Post. I have only raised 25.00 for this ride. I need 400.00 to participate. Please help as much as you are able, 5.00 would help. I have been training hard for this ride and I don’t want to be bumped because of lack of donations. I know times are hard, for me as well, so if you can’t please don’t!! Just let this email be an update on what I am up too. Thank you I would loce to hear from all of you. I’m doing something about multiple sclerosis now and you can, too. Support me in my upcoming ride in the BP MS 150 on April 18-19. Thunder Mountain Motorsports is still taking appointments and doing services as quickly as possible. If you would like them to schedule your machine(s) in, please call or email to let us know. The standard price for each snowmobile is $195 (price DOES NOT include parts or sales tax). Their snowmobile service is a very thorough maintenance and inspection. Each machine gets inspected, lubed, and adjusted from bumper-to-bumper. Snowmobiles are ready to ride when our service is complete, THIS INCLUDES GAS & OIL, plus SPARE BELT & SPARK PLUGS. So if you do not want them to top off the fluids and replenish your spares, please say so. If they find any repairs needed, these will be in addition to the cost of the service. They always authorize any work prior to doing it. Don’t get caught with a snowmobile that is not ready to ride when you are. Snow is here… We hope to see you soon. Pre –‘Chill on the Hill’ party is bumpin at Brian Head Resort. Brian Head Resort hosts the Pre-“Chill on the Hill” event with Area 107.9. This party will be epic as Professional Athletes and Snow Enthusiasts shred the “gnar” on the “Organized Confusion” Terrain Parks at Brian Head Resort. Brian Head, UT, January 30-31st,2009- The JibYard (an indoor training facility) and Red Bull have teamed up with Area 107.9 and Brian Head Resort to present absolute mayhem on the mountain. A select group of Athletes know as “The After Bang Jibyard Gang” have been invited to attend Pre-“Chill on the Hill”. This annual party is highlighting Pro ski/snowboarders, which gives us “normal riders” a chance to hang out with the Pros. All weekend the “Jibyard Gang” will be free riding with anyone who wants to join. Afterwards they will be signing autographs, taking pictures, and partying the night away. The Athletes will be rolling into the Resort on the G&S Excursion party bus Friday morning’ish and will spend the whole weekend showing their “stease”(style and ease). If the riding gets a little cold, don’t you worry. We have the “BHR Igloo Party Tent“ set up for all your slope-side eating and drinking needs. Remember don’t drink and ride…you might spill your beer. Brian Head Resort has been working to bring in diversity and originality. With the “Organized Confusion” Terrain Parks, any rider, pro or shmo, can come and session at their own level. We’ve got kickers, we’ve got boxes, we’ve got rails, we even have junk that you can jib. Keep your eyes peeled as you are slashing “pow” for Red Bulls from the “Wings Girls”. When it’s all said and done, missing this weekend would be like missing your own wedding…. Fri. January 30th – 12:30 – Jib Yard Gang Shows up and free riding begins. If you are purchasing equipment or just getting excited for the upcoming ski season, the Snow Jam is a must. Incredible deals are offered on name brand equipment and clothing. Here are the results for the first race today (RESULTS). All eyes are on Jeremy Horgan-Kobelski (JHK) to finish in one of the top spots at American Mountain Classic (click here to visit their website AMC) Bike Four Day Stage Race. Jeremy almost qualified to go to Beijing for the 2008 olympics but just missed the qualifications. Jeremy is a big fan of Brian Head. “It’s my favorite place to race.” he said and I love coming here each year. Here Heather Irmiger admires her husband. She too was close to qualifying for the one of the olympic spots. We wish all racers luck in this weekend races in Brian Head Utah. Day 1 – Race determines starting positions for Stage 2 race. Times do not factor in to overall winning times. The American Mountain Classic will start with a 6 mile Prologue using the town trail in Brian Head. The six mile loop is a mix of fire road, single track and double track and will give racer’s a taste of what it will be like racing at over 9,000 feet for the next three days! The Elite Men’s, Elite Women’s and Elite Master 40+ class’ will be vying to don the A.M.C. race leader’s jersey. Amateur racers will use the pro log to establish starting positions for tommorrow’s stage. This 55 mile stage is named for the Epic Virgin River Rim Trail. Featuring over 30 miles of single track on the “Rim” trail, getting a good start is going to be important. The course takes racers along Utah’s famous Pink Cliffs and offers views of Zion National Park to the south. This stage is sure to test everyone. At 11,306 feet, Brian Head Peak dominates the Utah skyline. The first 5 miles of the course takes racers to 11,000 feet, just below the peak. Then it’s onto some single track as the course winds its way out to Red desert and Tippets Valley. Aspen trees and flat fast fire roads are a welcomed change of scenery from the opening climb. Racers return back to Brian Head with an assault side trip back to the “Peak”.n The stage finishes with a fun ride on the Peak Trail and down Color Country. 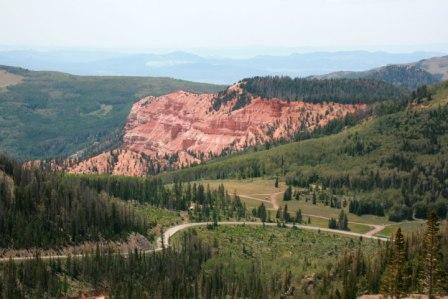 When you see Cedar Breaks National Monument you will know you’re almost home! The 2006 N.M.B.S cross country course is the site for the final stage show down! This course received rave reviews from racers of all abiliities from our last stop here a couple years ago. Riders will complete two laps on this challenging course. Lowder Pond, Sidney Peaks Trail, Scout Camp and the very pride of Brian Head “Dark Hollow” make for one of the best courses in the country for racer’s to challenge themselves on the last day of the A.M.C. This is sure to be the toughest stage of the event. A local from Utah needs everyone’s help. One of the largest downhill races believe it or not makes racers qualify by receiving votes. KEVIN TALBOT is the only contestant left from Utah and is close to making the qualifications. HE NEEDS YOUR SUPPORT. “Brian Head is one of the best places to downhill” Kevin says, “this place is known nationally and I come every year to ride here”. I met Kevin in Brian Head at the base of the downhill track at the resort. He has been through a lot and now at age 40 is beating the odds and competing in the most competitive races there is. HE NEEDS YOUR SUPPORT. Go to – http://www.santacruzbicycles.com/hellridefive/voteforpedro.php?hellrider=1&userid=0501 and follow the vote link. Voting ends in less than 48 hours so HURRY. It will only take one minute. I will follow his story and success so make sure you subscribe to the RSS feed and keep up on whats happening in Brian Head. BEST OF LUCK KEVIN – I KNOW YOU CAN DO IT!